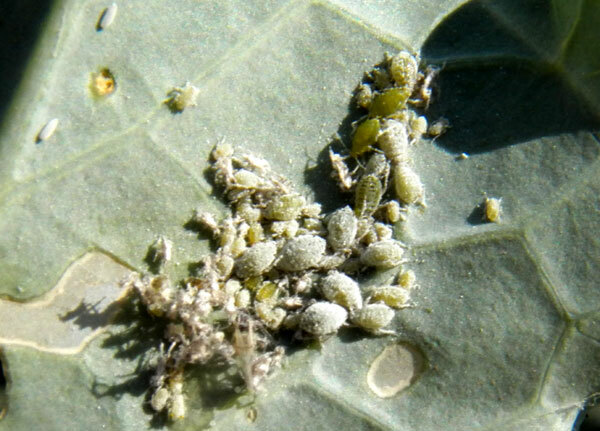 These aphids are on the underside of a leaf of "Sukuma Wiki", a variety of Brassica oleraceae. Eldoret, Kenya, January 2012. 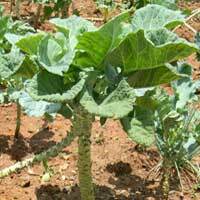 Aphids have short legs and most of the time their long strawlike mouthparts are deeply imbedded in the plant tissue. Thus they are mobile, but very reluctantly so. When attacked by predators they are as likely to kick as to flee. Once a colony is established the founding females give birth to live nymphs that often stay nearby. Eventually a colony of dozens of squat bugs accumulates. Minute wasps, lacewings and ladybird beetles are among the predators that feast on these often abundant and easy to catch pests.